The perfect place if you decide to "stay in shape" during your holiday. Towel service and a coach to supervise your workout. Sauna, steam bath and showers located some about 10 meters from the exercise area. 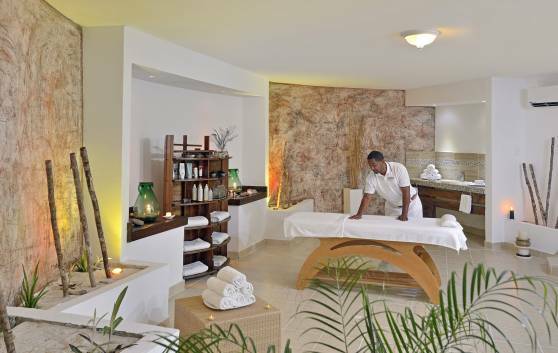 As an additional service, guests can also enjoy a relaxing massage in our salon located in the same area. 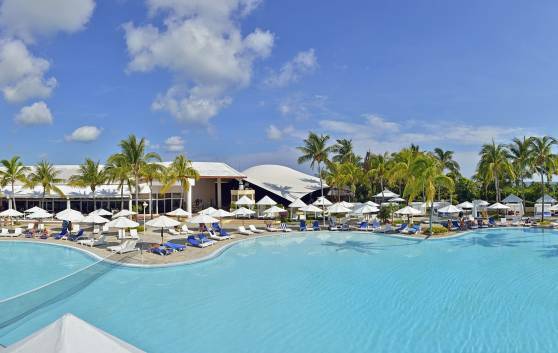 The evenings come to life, with professional shows and entertainment for guests to join in, as well as a range of live music for dancing to the rhythms of the Caribbean. 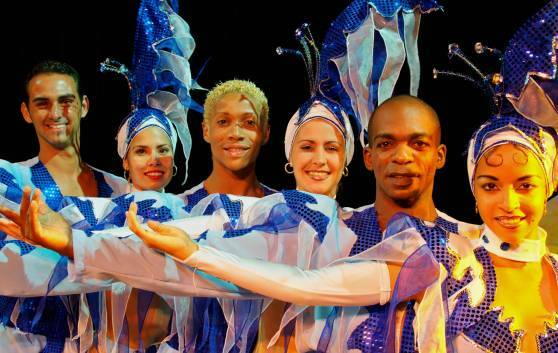 Come and enjoy the fun of Cuba in the company of our entertainment teams. Live shows, mini-discos and mini-shows. A space designed for complete relaxation. With a small reception area and lounge, where you can enjoy a personalised service from our valets. With sauna, steam bath, and male and female changing rooms. Find out more about our Spa Menu and the exclusive treatment options available, as well as treatments and rituals provided by qualified therapists. 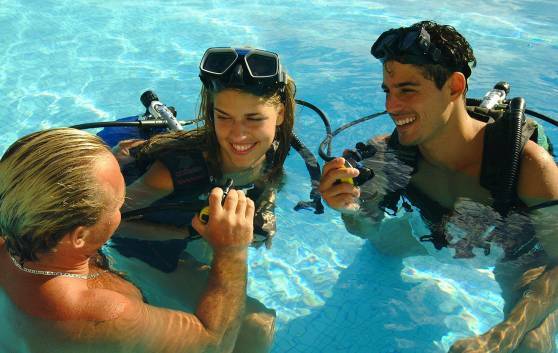 All the facilities for enjoying a fun-packed adventure at sea, sailing and diving. 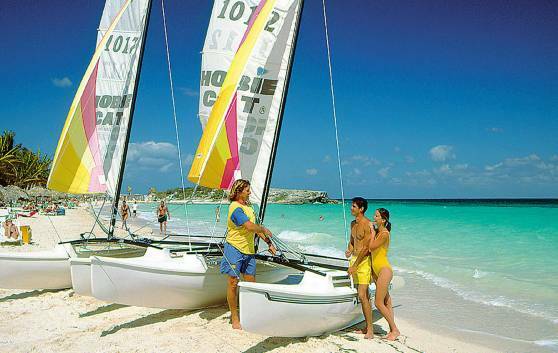 Catamaran, kayak, pedal boats, sailing, fishing ($), snorkeling, banana boat ($), water skiing ($), parasailing ($), motorboat tours ($), diving initiation lessons in the swimming pool, diving courses ($) and diving ($). Surf the Internet without wired connections. Easy to install which enables you use your laptop in all areas of the hotel. In the swimming pool area, surrounded by lounge chairs and swaying palm trees, guests can enjoy a delicious a light lunch at the El Saladito snack bar or at the Del Sol buffet restaurant. 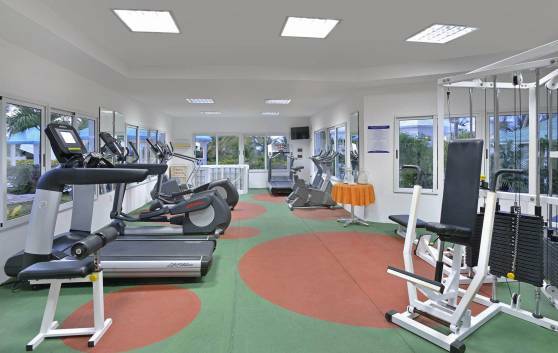 The gym is also located in this area, equipped with sauna, hydro-massage and steam bath.